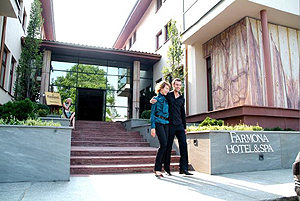 Set in a quiet green area close to the center of Krakow, the Farmona Business & Spa Hotel in KrakĂłw is a refuge form the everyday life and the place where you will relax in warm, quiet and friendly atmosphere and care for your body and mind. In the oasis of tranquility you will find the peace of mind. 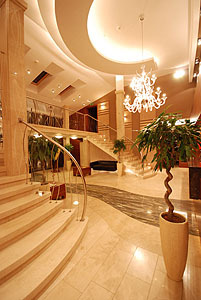 The Farmona Business & Spa hotel offers a modern spa center where guests will regain energy and balance between mind and body. It is the spot where you will enjoy life! Versatile spa treatments will help restore your health and good mood.